A complete communications system easily delivered by a single person. Quickly provides high-speed internet while establishing local area networks. Supports mobile broadband, Wi-Fi, digital radio and many IP devices, both wired and wireless. 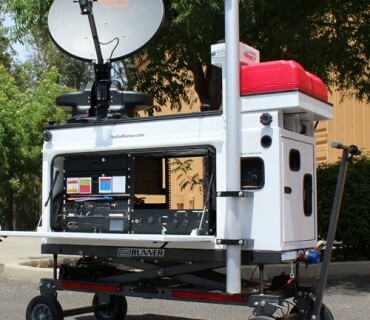 Provides a professional operations desktop, off-the grid power, night lighting, cellular backhaul (including optional FirstNet™ – Band 14), radios, inter-operability, on-board server with an assortment of peripherals including 4 flat panel monitors and a printer/scanner, Wi-Fi and wired local area network connections. Deployed in minutes at initial dispatch. 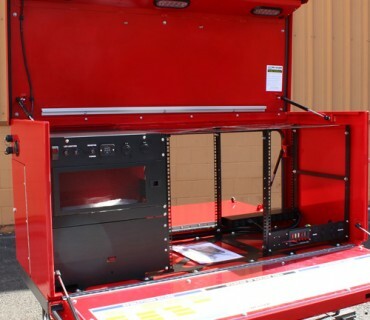 Can be pulled/pushed, attached to a vehicle, transported by helicopter or aircraft, to virtually any location desired. Able to go inside buildings, elevators, ramps, sidewalks, alleys, parking garages, confined spaces, off-road or on-road at emergency response speeds. A great starting point for your Incident Command Post. This model enables a customized build that can be completed by the client, a third-party integrator or PodRunner®. 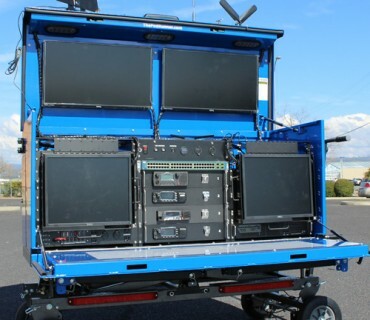 Comes with the full power system and 20U of empty rackmounts, allowing the client to determine on-board technologies for their specific needs. 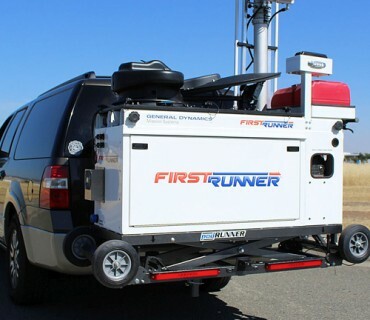 Star-Runner CRD™ for FirstNet™ is currently awaiting approval by AT&T as an authorized customer owned and maintained (COAM) deployable. Supporting two 5 Watt cellular eNobeB radios, omni-directional antennas with up to a 33’ high mast system, the FirstRunner™ deployable is quickly dispatched, cost effective and simple to use. 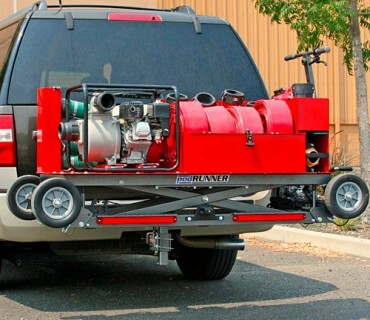 The Pump-Runner™ is a mobile, high-volume platform containing everything needed to set up a 300 GMP drafting or dewatering operation. One person can easily deliver, set-up, and leave the system primed and running. Once the Pump-Runner™ has been delivered to a water source, set-up takes about 10 minutes and requires no specialty tooling. Sections of hard suction hose and a strainer are connected to the pump with quick connect cam locks and placed into the water source.